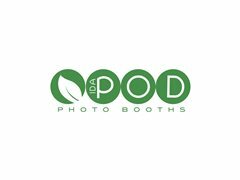 A small but leading Photo Booth Company based in London is seeking professional, reliable and outgoing Trainee Photo Booth Assistants for casual fill-in work. We supply a range of event Photo Booths for a wide variety of occasions and, regularly supplying respectable, sought-after brands and exclusive venues across the city and beyond. This role is perfectly suited to outgoing jobing Actors or fellow creatives looking for fill-in work giving access to continuing working in the creative industry from some of the most respected exclusives venues in London to charity and home events. Making it suited to creatives who value the opportunity to be flexible, out-going and network with other like-minded people. - Loading in and out of client London venues. - Building/Taking down a booth in a space at an event start/finish. - Operating/Facilitating the Photo Booth. - Engaging with guests and clients. - Being responsible for the all-round smooth running of the booth within the event. We are looking for genuinely out going people to join our friendly and diverse work family. - Be able to work as a part of a small team and able to work just an effective alone. - Have a good level of spoken English and a good understanding of people: ‘a people's person’. - Can thrive on being organized and attention to detail. - Be to some degree physically able, as the role involves some lifting, setting up etc. - Be suited to working evening/night as 80% of shifts are of this nature. The first shift is shadowing an experienced member as unpaid training with the opportunity for promotion to the supervisor within a short period if necessary skills and initiative are shown. Apply with a CV, A photo (optional), References will be required post application. We offer a basic day rate £60.00 for up to 6 working hours shift but most shifts are 3-4 hours working. Do you have a Full UK driving license (Desirable not Essential)? Are you outgoing and professional? If YES please get in touch!